Make Whey For… Cashel Blue! It’s a week until St. Paddy’s Day, and in case you couldn’t tell from our website, we are excited! 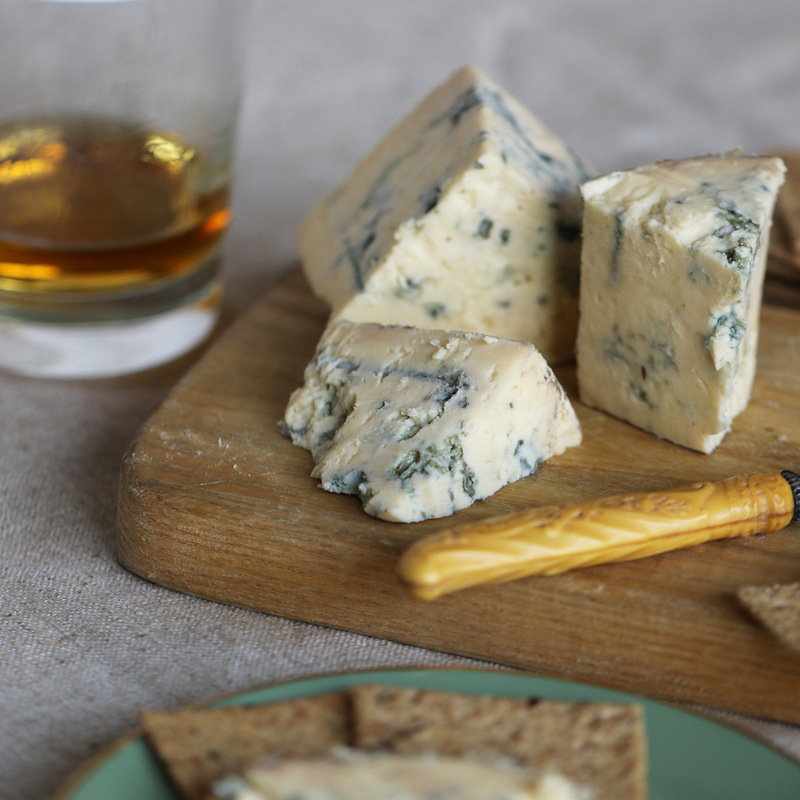 We wanted to kick off the festivities by introducing one of our favorite Irish cheeses – Cashel Blue! But in order to do that, we’re going to have to dive into the history of Ireland just a little bit. Political differences usually don’t lead to good things, but it did lead to this fantastic cheese. 300 years ago, the Grubb Family got booted out of England, and retreated to County Tipperary in Ireland. It wasn’t ideal but they made a great life out of it, turning to milling and buttermaking with a herd of 110 Friesian cows. In the past, Ireland had been limited in its cheese production due to the overwhelming export of Irish butter. Irish butter is as highly valued as the pot at the end of the rainbow – golden, grass-fed, sweet and rich. The best part about selling butter was that it didn’t require any aging, so the farmer’s profits could be collected immediately. It wasn’t until the mid 1980’s that they began to develop what would become Ireland’s first blue cheese – Cashel Blue. It was adopted by Neal’s Yard Dairy, cheese affineur-extraordinaires, who saw something special in Cashel’s sapphire blue veins. And we have to agree! It might be the first Irish Blue, but we think it’s the best. This blue is voluptuous and creamy, the sort of thing that is fudgy but just happens to melt in your mouth. Each bite reveals a minerally undertone, which compliments the mild, approachable blue tang of the veins. The cheese is made from April to October, and for good reason – this is when the cows are out to pasture, and there milk is full of grassy, herbal notes. Southern Ireland, where the Grubbs settled, is perfect for cheesemaking from the lush green pastures to the boggy, nutrient rich earth. Want to know more about some of Ireland’s best cheeses and treats? Check back here next week for a full outline of our fave Irish treats! Previous PostPrevious Victory Never Tasted So Cheesy!